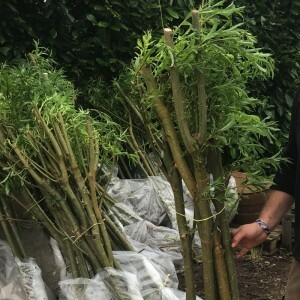 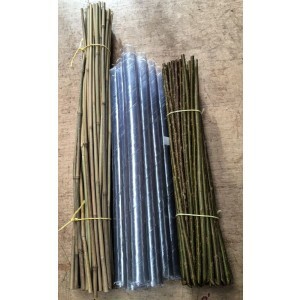 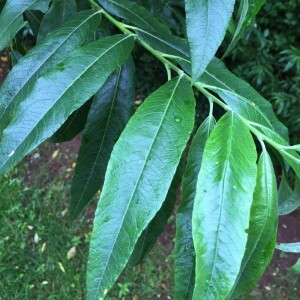 Willow will reach up to 7 metres (24 feet) in height after four growing seasons and then maintain this height whilst throwing up new shoots from the base to keep a thick "bottom". 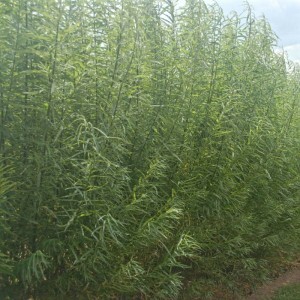 They will not grow much higher than 9 metres (28-30 feet) and may be kept shorter by pruning. 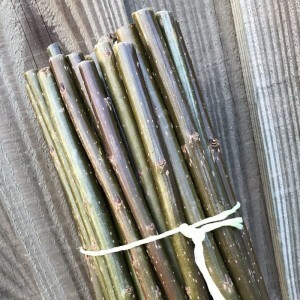 These deciduous trees are excellent for many purposes including windbreaks, screens, hedges (both woven & unwoven), coppice fuel, logs, biomass supply, riverbank stabilisation, woodland regeneration, game cover and to encourage wildlife. 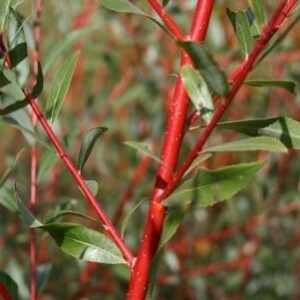 They support a wide range of insect species (second only to Oak) and so are attractive to birds and other wildlife. 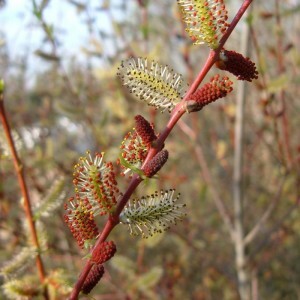 Willow is very early to flower and is a good boost to bees at the start of the year.